This week's word is MOON. My sample picture was inspired by the great old Ella Fitzgerald song "Paper Moon" - a song about a world where nothing is real. I am looking forward to seeing moons in all shapes and sizes!! Another great theme and beautiful sample to get us started. My Moon is on my blog. Hi Marie I finally got here lol! my entry is here! another fabulous challenge, Thanks! Hi, my moon scenery is here. Thanks for looking. My 'moon' creation is on my blog. Fabulous sample!! Here's my entry, thanks for looking!! Great theme and a wonderful sample! Good afternoon! My entry is on my blog here. 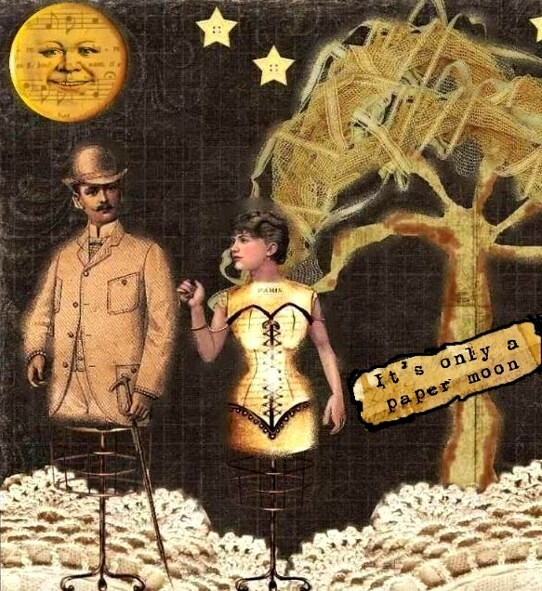 I just love your Paper Moon, Marie! 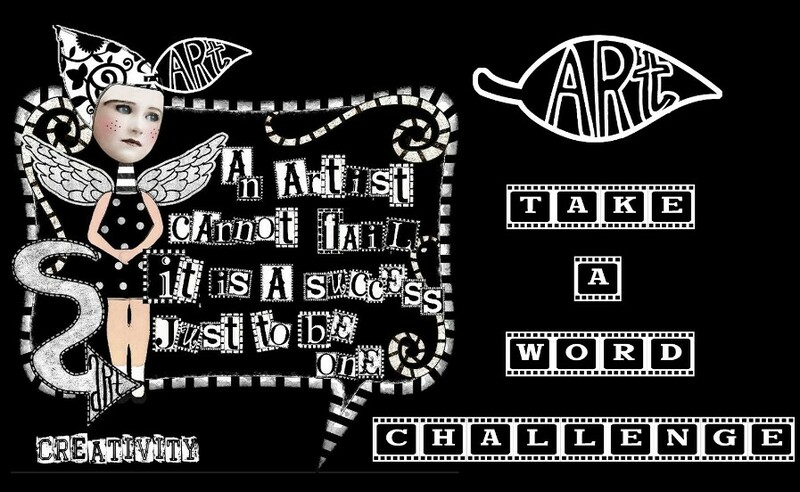 I went crazy and made two art journal pages: They are on my blog. I went for the man! Thank you for looking. Love the example this week. I love the themes you give us, thanks for the great inspiration! I could've sworn I was the second or third to post here, but now I see I'm not here at all! I don't know what happened. My MOON is on my blog, and it's a great challenge, Marie! Here's my contribution, inspired by a poem. Magnique votre collage Marie ! Wonderful sample Marie, and great works by everyone this week. Wauw, What a creative women, powerwomen. Great word for inspiration! My ATC is on my blog. Cheers! So glad I stumbled on this blog... wonderful!